Rated 4 out of 5 by tinab5ed8 from Its my go to every 5 weeks. I just wish the gray coverage would last longer, like every 6 weeks! Rated 5 out of 5 by carynaaliyah from Only thing that could keep my hair jet black! It leaves it soft and shiny after. Very easy to apply and the smell isnt harsh ! Rated 5 out of 5 by itxanmariemontalvo from I usually use this product just for my Grays every 2 weeks!! Its a good product and the price its ok!! The color its like exactly mines !! Rated 5 out of 5 by di0143 from Garnier Nutrisse never lets me down. I have been using this hair color for years. My hair was previously damaged from too much bleach and heat styling but this dye has never caused any damage to my hair. It is not abrasive or packed with chemicals. 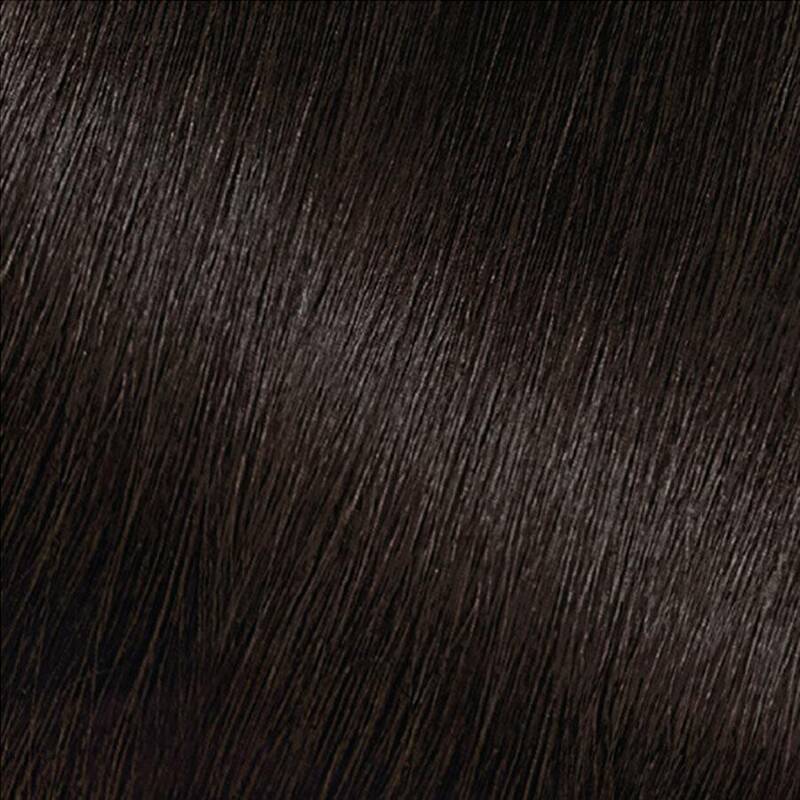 It leaves my hair SO SHINY and soft! The color doesn't fade at all! My hair grows very quickly so I touch up my roots every 3 weeks, which is why I love the price for this color. It doesn't smell too strong and the conditioner that comes with it works well. Overall a great drugstore hair color!! Rated 5 out of 5 by raquelh7cf0 from i am a huge fan of this product and have used it will continue to it on myself and recommended it to my friends and family. 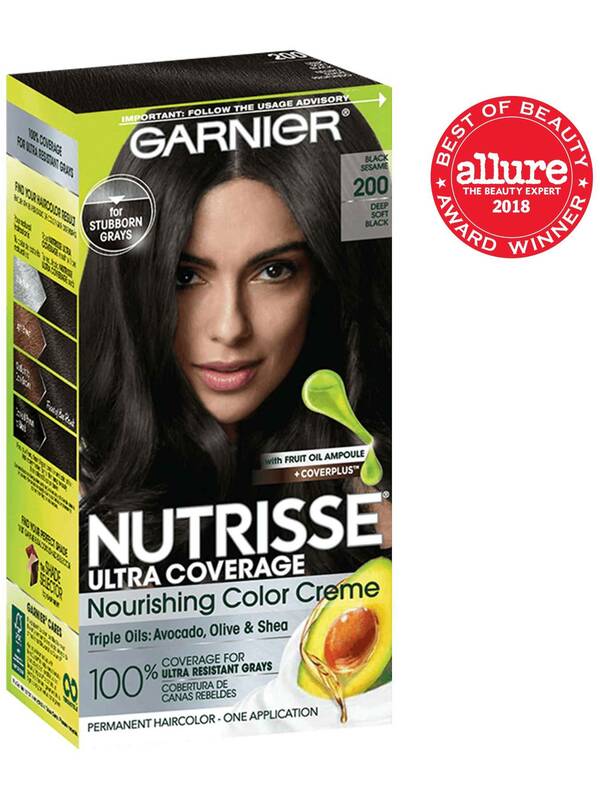 Rated 4 out of 5 by brittannyw1 from I LOVE this ultra coverage nourishing color creme by Garnier Nutrisse! It colors just like I expected it to, and I think it better than other brands! It is very easy to use. Overall I am very satisfied with this product! Rated 5 out of 5 by donnettar from Garner Nutrisse Ultra Coverage Nourishing Color Creme is a good alternative to salon coloring. It is reasonably priced and covers well. It adds high and low lights and performs as well as more expensive brands.